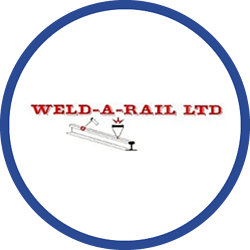 Providing a professionally managed and comprehensive service, Weld-A-Rail is now one of the UK’s leading providers of track-welding services. 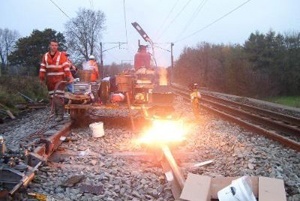 Weld-A-Rail required a solution that would meet two core requirements. First, because the vehicles carry valuable tools and equipment, management felt monitoring the vehicle locations was necessary from a security point of view. Second, management wanted to be able to monitor employees’ private use of company vehicles. Weld-A-Rail already had a vehicle tracking system in place, but that system was not meeting the business’s two core requirements. In summer 2012, after deciding to switch from its current vehicle tracking provider, Weld-A-Rail implemented Crystal Ball’s FleetTracker. The company chose Crystal Ball because of FleetTracker’s enhanced usability and the more-detailed data it could provide. FleetTracker is accessed via a secure web-based portal. As a result of its implementation, Weld-A-Rail now has visibility of the live locations of its vehicles on a detailed mapping system. Having this visibility assists job scheduling in the workshop because the Weld-A-Rail team can now see accurate vehicle locations in real time and knows when a driver is on the way back to the workshop. Crystal Ball’s FleetTracker solution also provides Weld-A-Rail management with scheduled email reports detailing driver journeys and “snail trail” route data. Both reports are used by the finance team to cross-check driver mileage claims. Since FleetTracker has been in place, Andy Pears, Welding Manager at Weld-A-Rail, has reported a reduction in the cost of keeping the company’s vehicles on the road.